from..."The BASS CLINIC on Lake Fork! Learn the latest fishing techniques and master your electronics with on the water instruction. roy@thebassclinic.com Not a typical Lake Fork guide trip! This is on the water instructional fishing classes conducted from your boat. Roy instructs and does not fish with his clients unless they want him to. If you have invested thousands of dollars in your boat and equipment and want to start spending enjoyable time on the water, call Roy!!! Bass Fishing and Crappie Fishing! 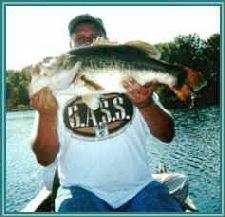 Specializing in jig fishing for crappie and bass. Learn or improve your fishing techniques. Private Lake fishing trips offered! 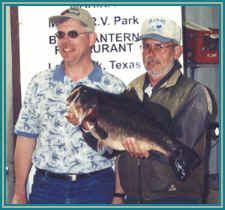 Roy also conducts fishing trips on a 15 acre private trophy bass lake, adjacent to Lake Fork, where fishing turns into catching. The average daily catch is 20-30+ bass. Also, learn fly rod fishing for bass, bluegill and redear. For this fishing trip you will be using Roy's boat. For a fraction of the cost of a guide trip, Roy will help you master your electronics to locate fish. 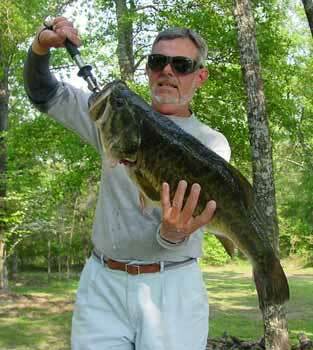 He will help you learn the lake so you can find and catch fish with the fishing equipment you already have. Roy even provides the lures. He specializes in jig fishing for big bass and crappie. He also instructs all the new fish catching techniques as well as the basics. Roy uses lures that have been tested and proven by professional guides, tournament fishermen and thousands of weekend anglers. 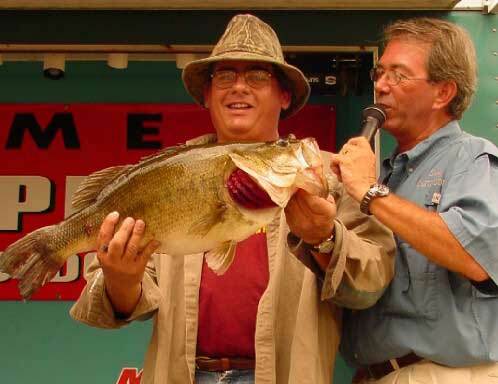 Client, Keith Tindell and Roy with a 14.17 lb bass, which began the Lake Fork 2002-2003 ShareLunker Program. 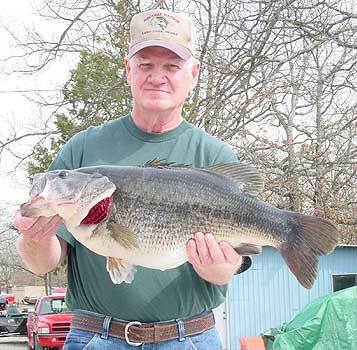 Don Latham winner of 2004 McDonald's Big Bass Splash tournament. The bass was caught using Roy's "Grass Penetrater Jig"
Roy offers instructional techniques for fishing a jig, spoon, Carolina Rig, Wacky Worm, Light Tackle Drop Shotting. Learn how to present your lure and select the appropriate lure for specific water conditions. You will also learn about aquatic vegetation and the role it plays for proper fish habitat. Grab your fly rod and get an instructional fly fishing lesson! You can increase your skills on just about any technique you've ever wanted to work on.